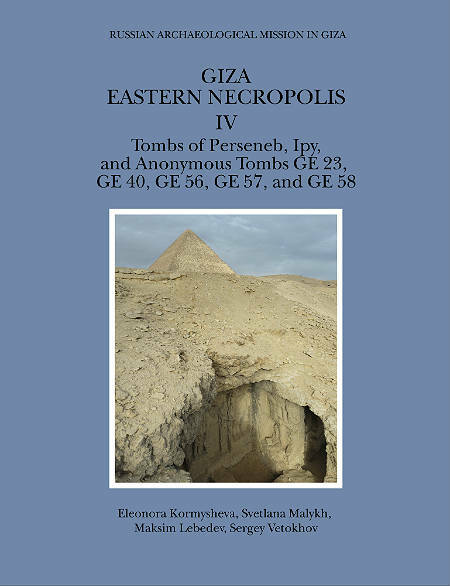 The fourth volume of the series “Giza. Eastern Necropolis” includes publication of the tombs of Perseneb and Ipy, containing epigraphic and iconographic material, and anonymous tombs clustered around these nucleus chapels. All are located on the eastern edge of the Eastern Field at Giza in the southern part of the Russian concession. The book presents a broad comparative analysis of epigraphic, iconographic, architectural, and archaeological material, as well as the study of bioarchaeological data and textiles. Separate excurses are devoted to Old Kingdom tomb scenes with lotus flowers and music, the feast of Khufu, and mummy cartonnage from the tomb of Perseneb in the context of the Giza Necropolis.